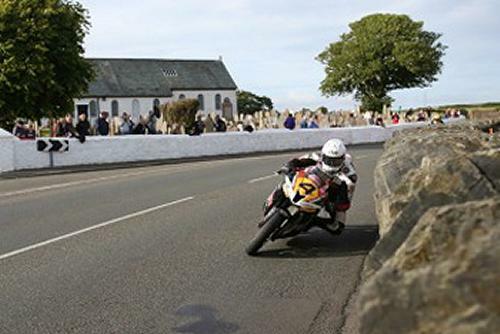 The Southern 100 Road Races run through the famous Church Bends at Malew where the bend and the church always provide a great backdrop for a great photograph (as seen in this image from Tremaine Gregg). On Sunday 5 July before this year’s racing gets underway there is to be a ride out from the club HQ on Castletown by-pass following the course to the church where there will be a short service at 3.00pm. For those who would like to join in the ride out will be leaving at 2:30 pm. Parking will be in the field adjacent to the church as it is for the races and everyone is welcome. 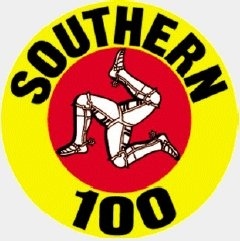 Southern 100 Club Chaplain Reverend Canon John Coldwell will lead the service which is a space to celebrate the Diamond Jubilee of the races and remember those who raced and served on the Billown Circuit before the excitement of the races begins for real !